Happy Monday! I hope you've had a great week. We are on spring break this week, so we spent most of the day exploring the city of Raleigh. We went to the North Carolina Museum of Natural Sciences today, and then walked around the NC State Capitol. Then we went to Krispy Kreme for an afternoon snack and to watch them make donuts. It was a great start to our break! Tomorrow, we're off to the zoo. I'm continuing with the 40 Bags in 40 Days 2014 Decluttering Challenge. Last week, I mentioned that I'm going to host a giveaway of four advanced readers. 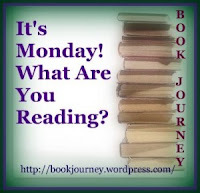 I haven't managed to put up that post, as I was trying to get through Middle Grade March first. So, watch for that giveaway to start later this week! I finished reading The Hero's Guide to Being an Outlaw by Christopher Healy. It was slow-going at times, but I did end up enjoying it. It was a good ending to a great series. I'll try to write my review this week. Now I'm switching back to an adult novel, after spending a month reading middle grade books! 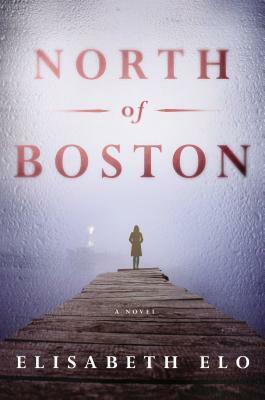 I'm currently reading North of Boston by Elisabeth Elo. It's good so far ~ definitely holding my interest. Sounds like a very interesting novel. Enjoy your Spring Break! Thank you! We had a nice week of fun!